JDC - Archives : JDC director of Cyprus in conversation. Search > Search Results > JDC director of Cyprus in conversation. Title JDC director of Cyprus in conversation. 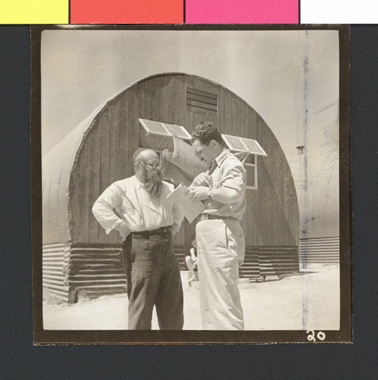 Description Morris Laub of NY, the JDC director on Cyprus, in conversation in front of a Nissan hut. Under him are 34 Palestinians, full time workers, and several hundred part time workers from among the prisoners themselves.